While the primaries have dominated the political coverage, Hillary Clinton has more to fear than Bernie Sanders’ sweep in the caucuses on Saturday. Both The Washington Post and The Los Angeles Times had articles which show that Clinton risks paying a political, if not legal, price for her conduct as Secretary of State. The scandal risks weakening her in a general election campaign. Politico subsequently posted a story claiming that the reports of 147 FBI agents being assigned to investigate is an exaggerated number. …Her statement appears to conflict with a report to Congress last year by inspectors general from the State Department and the group of spy agencies known as the Intelligence Community. They made their report after the discovery that four emails, from a sample of 40 that went through her server, contained classified information. Reuters had also explained last summer how classified information is “born classified” based upon its content, regardless of whether it is labeled as classified. Under Title 18, Section 2071, it is a misdemeanor to take federal records without authorization, something that is sometimes referred to as the “alienation” of records. The law is rarely enforced, but a conviction can carry a fine or imprisonment. The technician, Bryan Pagliano, was running the off-grid email server that Clinton had him set up in her New York home for her work as secretary of state. But even as years passed, Pagliano’s supervisors never learned of his most sensitive task, according to the department and one of his former colleagues. Pagliano’s immediate supervisors did not know the private server even existed until it was revealed in news reports last year, the colleague said, requesting anonymity because of a department ban on unauthorized interviews. These articles do cast doubt on whether Clinton will be prosecuted for her actions. In reviewing the arguments, it is notable that higher level officials do appear to be held to quite different standards than lower level officials, who have been prosecuted for doing less than Clinton, and not necessarily with any evidence of intent. It should also be kept in mind that the mishandling of classified information is only one part of the scandal. There are also serious questions regarding violations of government policies to promote transparency, including new policies initiated in the Obama administration in response to the abuses under George W. Bush. While criminal penalties were not initiated for such violations of the regulations until after Clinton left office, the matter should be of considerable concern for anyone interested in open government. Regardless of whether Clinton is prosecuted, this will cast considerable doubt on her integrity during a political campaign. The fact checking sites have repeatedly stated that Clinton’s statements have been false regarding the email on many points. The Washington Post Fact Checker has given Clinton and her defenders Three Pinocchios for their claims on at least two separate occasions (here and here). The top Freedom of Information Act official at the Justice Department has stated that Clinton was in violation of the rules and the State Department’s top Freedom of Information Act officer has called her use of a private server unacceptable. Not only did she violate rules regarding use of private email, she also destroyed around 30,000 email messages and edited others, which includes email related to Libya and Terrorism and was not personal email as she previously claimed. 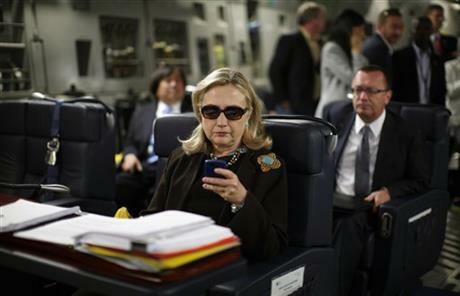 The political, and potential legal, problems, are not limited to the email. Further ethical concerns regarding Clinton are raised by her failure to comply with an agreement that contributions to the Clinton Foundation be disclosed when she was Secretary of State. Clinton failed to disclose over a thousand donors, including contributions from parties with business before the State Department. The Foundation also failed to disclose many of these on their tax forms and was caught lying about this issue. We also know that Bill Clinton saw an unprecedented increase in payments for giving speeches when Hillary became Secretary of State from organizations and countries which subsequently received favorable intervention from Clinton. His speaking fees jumped from 150,000 to typically 500,000, and as high as 750,000. Bernie Sanders has avoided these matters in his campaign for the nomination. It is a safe bet that if Clinton is the nominee, any Republican opponent will bring up these scandals. In addition, the Congressional committees investigating these matters will time their actions for maximum political impact during the general election.